Traveling has become most familiar these days, whether it may be for business or a private. It is also seen that single partner travels for work became a common phenomenon. 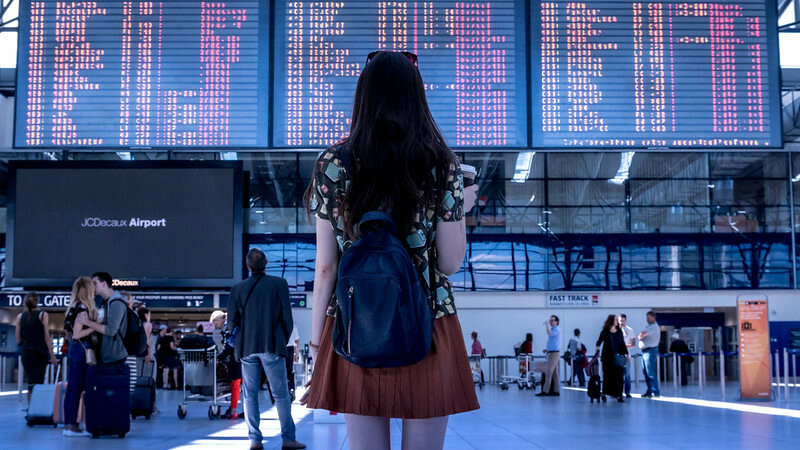 It is the jobs that require business travel, and your partner may spend days, weeks or months on the other side of the country or even the opposite end of the world. This moment may bring inconvenient to many couples both new and long-term relationships. With this in mind, it’s not surprising that traveling for work can take a toll on one’s personal life. just think of George Clooney’s character in “Up in the Air” film released in 2009 American comedy-drama film directed by Jason Reitman. So how can you prevent your mate’s business travel from sending your relationship packing? There are steps you can take right now so that you and your partner can remain close even when you’re miles apart. When your partner travels a lot for work, it’s important to let him or her know how this situation is affecting you. Perhaps you feel that you don’t get to spend enough quality time together because your boyfriend is always out of town. Alternatively, maybe you dislike the fact that when your girlfriend is away on business, she becomes nearly impossible to reach.Once you vocalize your thoughts and concerns to your mate, he or she can better understand how you’re feeling, and together you can work toward finding a solution that’ll help to ease the stresses and strains caused by business travel. For instance, you and your partner can schedule in advance some much-needed alone time so that there’s a definitive plan in place when your partner is back in town. On the other hand, you can also implement a new rule that your mate will always text or call you when he or she lands or before he or she goes to bed. If your partner is in another place on business, that doesn’t mean that your communication as a couple has to be interrupted. With only a WiFi connection, it’s never been easier to stay connected with your partner while he or she is far. So go ahead and text, call, FaceTime, Snapchat and video chat with your sweetheart to your heart’s content. Send your mate a kiss-face emoticon. Tell your partner all about your funny encounter on the subway. Don’t let the miles between you prevent you from staying close to one another. If you want to keep your relationship strong, keep the lines of communication open. When your partner does return from his or her business trips, it’s important to make the time that you spend together worthwhile. That means setting aside your phone, turning off the TV and putting an end to device distraction. When you’re fully present, mindful and completely in the moment with your partner without disruptions or interruptions, your relationship can remain strong even when your partner spends weeks on the road.To that end, making your time together, count also means going the extra mile for your partner, so to speak. Send your girlfriend off with dinner at her favorite restaurant. Welcome your boyfriend back with a celebration, big or small. Plan enjoyable, special and even surprise activities for the days and the nights when he or she is back in town. Additionally, an airport pickup or drop-off can also show your partner how much you care and keep your relationship on track before or after time spent on the tarmac. When you’re in a relationship with someone who travels for work both, you and your partner will have to make compromises in order to keep a strong connection.Perhaps your boyfriend can request to be in town a certain weekend so that you can both attend a friend’s engagement party. Maybe you can rearrange your Saturday gym routine so that you have more one-on-one time with your girlfriend when she’s in your time zone. There may even be an opportunity for you to accompany your partner to the destination where he or she is working and spend time with each other after your partner’s meetings, seminars and conferences have finished. When you and your mate are both working to create more opportunities to spend time together, your relationship is more likely to work out. If business travel is something that’s inherent to your partner’s job, it’s also important to look internally and make sure that you’re comfortable with the situation in general. Are you okay with your mate being away that much? Can you handle the realities and responsibilities of being with someone who may not be in town for certain events, occasions or moments in your life, good and bad? You owe it to your partner, your relationship and yourself to make sure that you’re 100% onboard with a mate who’s frequently boarding trains and planes. Once you’re completely open and honest about your wants and needs, you can then enjoy the strong, healthy and happy relationship that you deserve. Enjoy the ride.